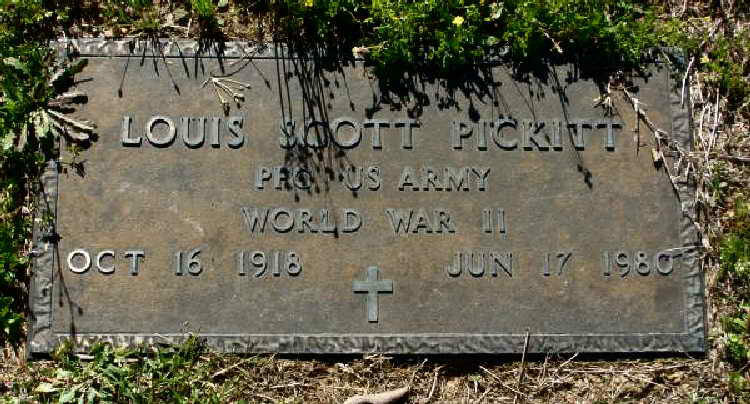 Grave marker for Louis S. Pickitt in the Gilmer City Cemetery, Gilmer (Upshur county), Texas. Louis enlisted in the army at Tyler, TX on 14 October 1942 and was assigned to Company E, 508th PIR. Pvt Pickitt was promoted to T/4 on 25 August 1943. On 15 September 1943, T4 Pickitt was transferred to the Army Air Forces Technical Training Command, BTC #4, Miami, FL. 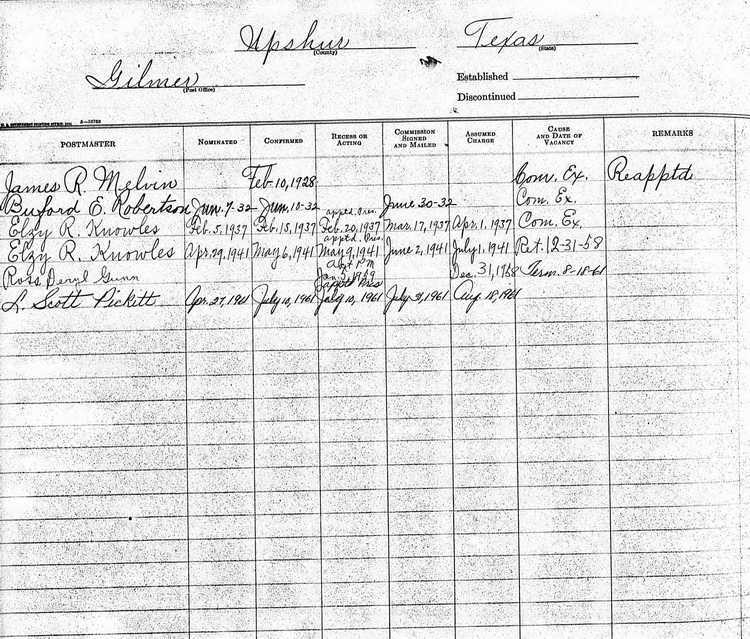 He was discharged on 6 October 1945. On 27 April 1961, L. Scott Pickett was nominated to be the Postmaster Gilmer, TX and on 18 August 1961 he assumed charge of that post office.